Description: Fully renovated 10 room apartment in one of Carnegie Hill’s premier pre-war condominium buildings. 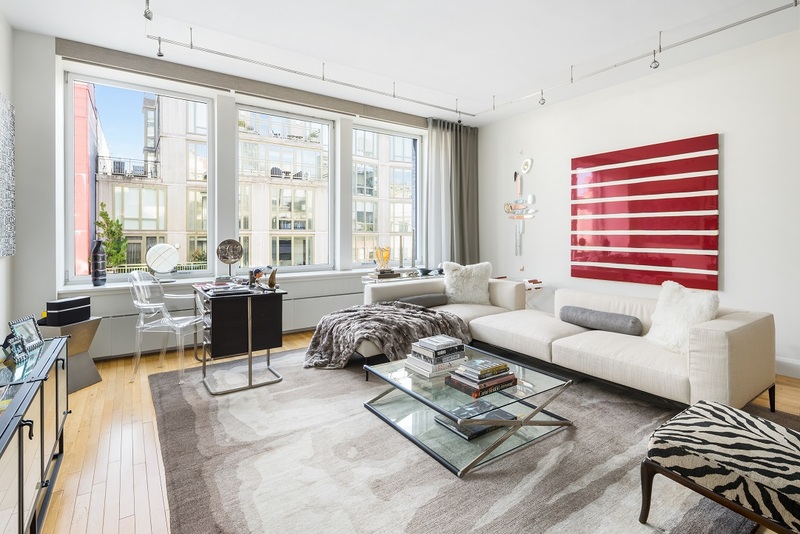 Expertly designed by renowned architect Santiago Calatrava, this grand and elegant home features expansive entertaining spaces, an oversized gracious Master suite, three additional bedrooms with en-suite bathrooms and beautiful views of Park Avenue and beyond from four sunny exposures. 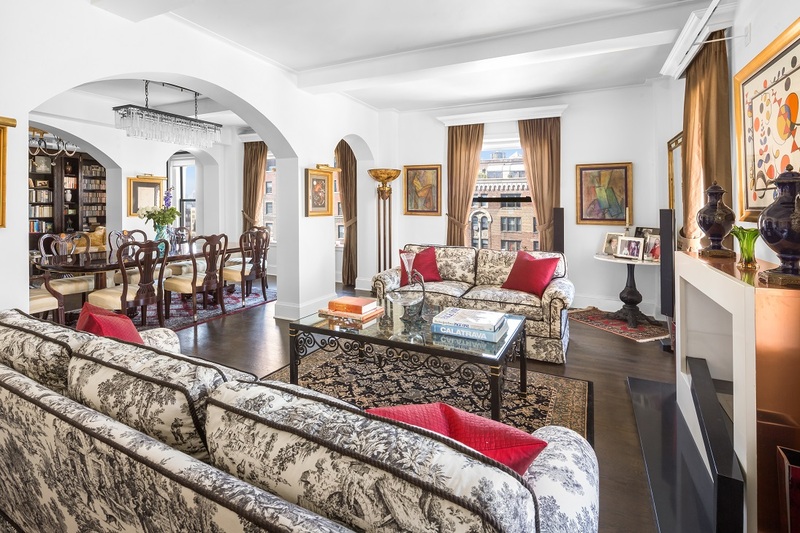 1235 Park Avenue enjoys a coveted address and is one of only a handful of Carnegie Hill condominiums. Amenities include a fulltime doorman, live in resident manager, private storage and bicycle storage. There is currently an ongoing monthly contribution of $849 per month to the Capital and Reserve Contribution Fund. Pet friendly and 80% financing permitted with a flip tax of 1.75% payable by the Buyer. Description: Expansive corner 2 bedroom, 2-bathroom home with stunning views through floor to ceiling windows overlooking Madison Square Park. Currently configured as a 1 bedroom plus home office, this beautiful residence faces north to the Empire State Building, south to the Freedom Tower, and east for open city views. The Thomas Juul-Hansen designed interior is ideal for entertaining featuring a dramatic open kitchen with custom rosewood cabinets and a spacious living/dining room that’s highlighted by an electric fireplace and built-in bar. Thoughtfully separated from the living space is the serene master bedroom suite with an elegantly appointment en-suite bathroom wrapped in Italian travertine. Additional luxurious enhancements to the apartment include 9″ wide solid quarter-sawn white oak floors, oversized doors, Gaggenau appliances and a Sonos sound system. Exclusive amenities at One Madison include a full-time doorman and concierge along with the One Club, a private residents-only club offering high levels of personal service and boasting an indoor pool, glass-enclosed steam room, state-of-the-art fitness center, lounge, screening room, parlor room and dining room. Description: Fabulous loft living in a premier Chelsea condominium. This expansive one-bedroom with den/home office features an oversized great room perfect for entertaining with soaring ceilings, open gourmet kitchen outfitted with top-of-the-line appliances, and a wall of south facing windows that bathe the space in sunlight. The spacious master suite is the ideal retreat with an en-suite 5 fixture marble bathroom, large walk-in closet and a customized Poliform built-in unit providing incredible storage. Further enhancements to this luxury loft home include a separate den/home office, 2nd full bathroom, washer/dryer, electric shades, and a private storage space that transfers with the apartment. 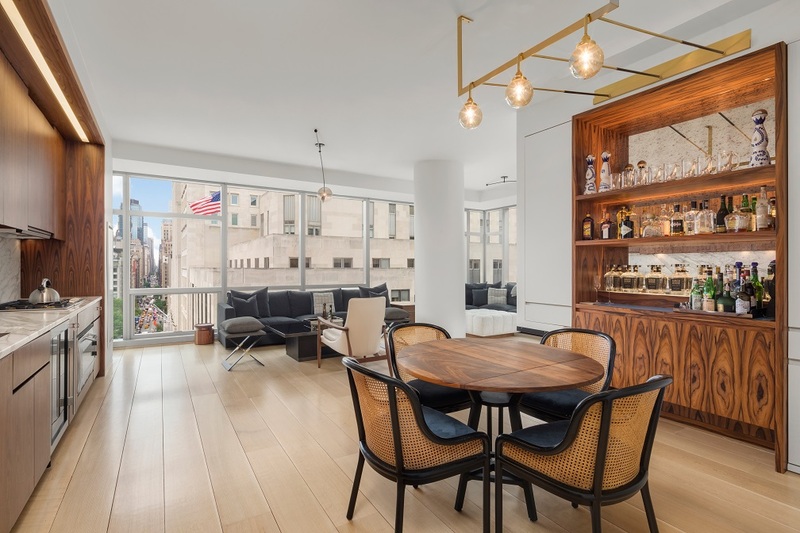 Centrally located in the heart of Chelsea, The Lion’s Head Condominium offers luxury amenities such as full-time doorman, live-in super, and one of the best roof decks in NYC.